The jackpot would leave a single winner with a lump-sum payment of $904 million. That's slightly more than Jay-Z's estimated net worth and about enough for 10 SpaceX launches. Lottery buffs are looking at a victory so sweet they could buy a professional hockey team. 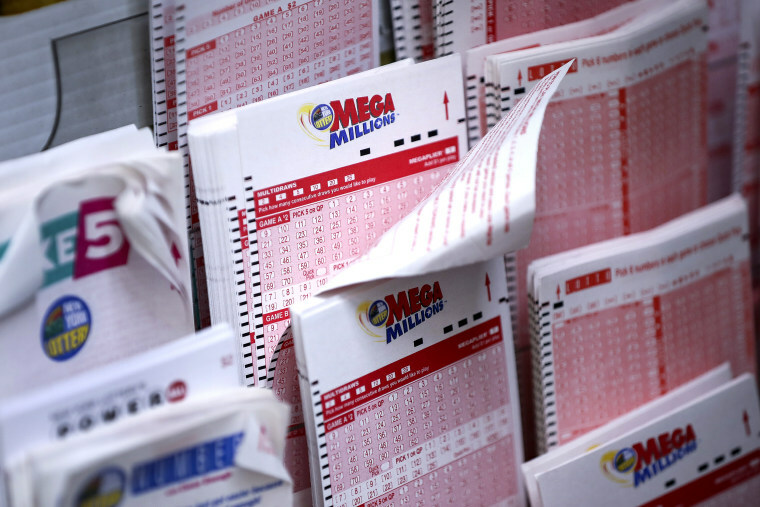 The Mega Millions jackpot for Tuesday's drawing hit $1.6 billion, and a single winner could take home a lump-sum payment of more than $904 million. That means after taxes, the winner of the largest jackpot in U.S. history would be as much as $589 million, which could buy one of 20 teams in the National Hockey League. The Edmonton Oilers are expensive at $520 million, but they aren't nearly as pricey as the New York Rangers Yankees, which Forbes estimates to be worth $1.5 billion. If the winner is more of an art aficionado, Leonardo Da Vinci's "Salvator Mundi" became the world's most expensive painting sold at auction after a bidder spent more than $450 million at Christie's in New York last year. The Pink Star diamond, which sold at auction for $71 million, broke the record for the most expensive diamond sold at auction last year. A Mega Millions winner could buy seven Pink Stars and still have more than millions left in the bank. Elon Musk's SpaceX Falcon Heavy costs about $90 million to launch. The lottery's current jackpot would allow a person to send the Falcon Heavy into space at least five times. In one fell swoop, the lottery winner would surpass the combined annual earnings of the two highest celebrity moneymakers in the last year in Floyd Mayweather and George Clooney. Mayweather pulled in $285 million in the last year, while Clooney raked in $239 million, according to Forbes. There was still no big winner as of Friday, and the jackpot would go even higher if no one matches all six winning numbers Tuesday night. CORRECTION (Oct. 23, 2018, 5:30 p.m. ET): An earlier version of this article misstated the amount that a single winner of the $1.6 billion Mega Millions jackpot would take home after taxes. The amount is as much as $589 million (depending on state taxes), not $904 million. That means the winner would not be able to buy even the cheapest Major League Baseball team (the Tampa Bay Rays are worth $900 million), but would be able to buy most teams in the National Hockey League. Several other comparisons in the article were also changed to reflect the correct payout.